Amidst all these anxieties and complexities, public libraries, as they have done for over 150 years, offer us some of the tools for coping – either by directly countering fake news through free access to a wide variety of information sources, or by giving users the creative space and resources think and create tales… Tales like the following, which has just a hint of green-inked ‘grassy knoll’ conspiracy about it. 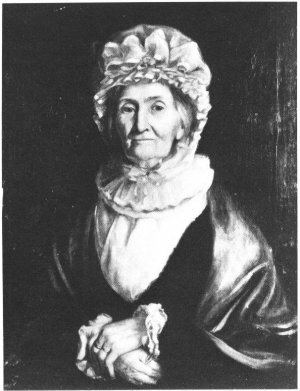 Elizabeth Batts Cook, the Quaker-born wife of Captain James Cook, died in 1835, having outlived her husband by 56 years. In later life, Mrs Cook was a long-term supporter of William Wilberforce and the anti-slavery campaign… but that’s a tale for another day. Our present tale starts in July 1771. Mr Cook (as his wife insisted on calling him, in the Quaker tradition, until the very end of her days) had returned from his first Pacific exploration voyage, in which he had laid two of the cornerstones of the second British empire by claiming both Australia and New Zealand for the crown (see Beaglehole, chapters 9 and 10). He spent the following Autumn at his home in Mile End Road, London, completing charts, writing reports for the Admiralty, accepting leadership of a second voyage to the Pacific – and selecting ships, supplies and equipment for that voyage (whilst also being feted around London as a famous explorer, presented to the King, and meeting such worthies as Samuel Johnson). Now why ‘stop a day or two in York’ – especially since he had so much work to do back in London overseeing the fitting-out of the newly-bought ships? Was it perhaps to meet the polymath scientist Dr Joseph Priestley, then living in Leeds? Despite their rather wooden portraits, both men were sociable. Cook, a largely self-taught man, sought out and enjoyed the company of scientists and other thinkers (see Arlidge); whilst Priestley’s erudition meant ‘there was not a subject upon which he was not prepared to lecture’ (Schoeder, p. 44). Another draw was that Priestley had such a ‘gay and airy disposition’ that the congregation of his first ministry at Needham Market, in Suffolk, objected. They could so easily have met. Cook was in York on 3 January 1772, and York to Leeds is no greater distance than we have already seen Cook ride on his trip to Whitby. Furthermore, the repaired turnpike road between Leeds and York was in better condition than the Whitby road (Thornton, p. 102). The only problem with this hypothesis is that there is not one shred of documentary evidence to support any such meeting! The Leeds Mercury or Intelligencer might have mentioned a visit by Cook, since his fame was spreading, but no library in Leeds has a copy of either newspaper for the relevant dates. In this time of ‘alternative facts’ and fake news, missing copies of 245-year-old newspapers are quite sufficient cause to argue that absence of evidence is not evidence of absence. They had reasons to meet, and both had reasons for not drawing attention to any meeting. The best timeline would have Cook coming to Leeds on Saturday 4 January, 1772 (which was market day and Briggate would have been busy). The Rose and Crown coaching inn handled the York-Leeds route, so perhaps they met there, and perhaps Cook stayed overnight. 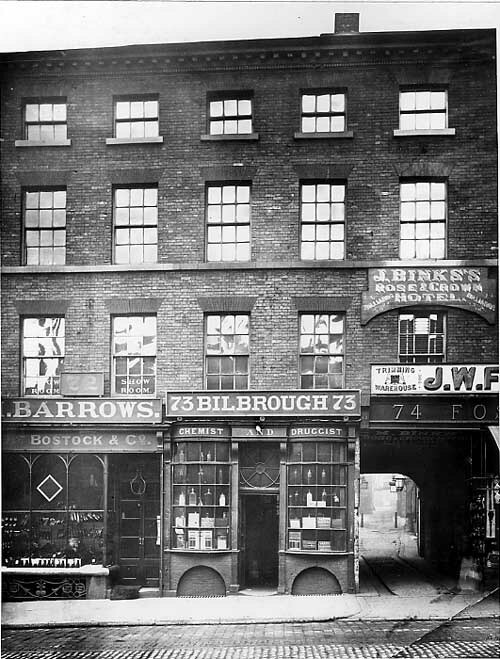 Briggate would have been an easy few minutes’ walk for Priestly from his chapel manse on what is now Park Row. Awaiting all visitors would have been the option of the Brig End Shot – the unique Leeds market-day dinner of ‘ale, a noggin of porage and a trencher of boiled or roast meat’ (Thornton, p. 89). Our Captain Cook was known to be a hearty eater, unafraid to tackle strange and exotic dishes; whereas Priestley suffered from periodic bouts of incapacitating diarrhoea throughout his life and may not have dined quite so heartily (Rail, p. 155-56). What might have talked about? We know there are at least two possible conversation starters. Firstly, during his three great voyages, Cook was perfecting the essential techniques for safe, long-distance sailing ship travel, including accurate navigation, proper charts and the maintenance of sailors’ health with better food and water. During the autumn of 1771, the Admiralty had passed to Cook details of Dr Priestley’s recent paper on a ‘fixed air’ method of sweetening water, hence keeping it tasting better on long voyages. Basically, by adding carbon dioxide, it became carbonated, ‘fizzy’ water (Beaglehole, p. 283). The following year, Dr Priestley would receive the Royal Society’s prestigious Copley Medal for his work. Secondly, there was the issue of who would be the astronomer on Cook’s second voyage. Priestley had actually been appointed to the position and, in turn, appointed a substitute minister for his Mill Hill Chapel (Priestley, p. 62). However, in late November 1771, the offer of the post was abruptly withdrawn. Was Cook coming to see Priestley to soothe hurt feelings on behalf of his friend, semi-patron, mentor and potential nemesis, Joseph Banks? Banks, a very wealthy amateur scientist had accompanied Cook’s first voyage and was busy planning (or, rather, interfering) with the preparations for the second voyage. Against expert advice, he insisted on having an additional deck added to Cook’s ship Resolution to accommodate himself, his assistants, servants and a small band. When sea trials proved that the ship was now too top-heavy to be seaworthy, the Admiralty’s experts prevailed and the excess loading was removed… at which point Banks removed himself completely from the expedition (Beaglehole, p. 293). Perhaps there is an uncanny similarity to Aaron Banks, the major supporter of the ‘Leave.EU’ campaign of our own age. Joseph Banks certainly believed his wealth gave him carte blanche to influence official policy as he thought fit. Before the ship debacle, and with only the authority of his wealth, he had offered Dr Priestley the post of astronomer, only to find that the Admiralty’s Board of Longitude (the legitimate appointing authority) disapproved of Priestley on religious grounds. Priestley, a Unitarian minister and convinced dissenter, was theologically unacceptable to the Anglican astronomy professors from Oxford and Cambridge who controlled the Board (Beaglehole, p. 289-296). To most modern ears, the theological basis of the dispute will sound arcane, but the naked power of the ideologues is familiar. On 1 December 1771, Priestley wrote to Banks that he would hold the Board of Longitude forever in contempt, since the choice of astronomer was ‘a business of Philosophy [science] not of Divinity’ (Beaglehole [a], p. 72). In dispensing with Priestley’s services, the learned professors had clearly exercised their prejudice towards the ‘wrong’ kind of expert. To digress for a moment, the choice of scientific experts on Cook’s voyages fits another contemporary theme – that of eastern European economic migrants. The Board of Longitude appointed Dr Solander, a Swede, on the first voyage. For the second, they appointed, late in the day, a Polish/Russian immigrant of Scottish descent, John Reinhold Forster, together with George, his son. Forster was an able scientist: ‘yet there is nothing that can make him other than one of the Admiralty’s vast mistakes… he was dogmatic, humourless, suspicious, censorious, pretentious, contentious, demanding’ (Beaglehole, p. 302). Maybe, given a choice, Cook would have preferred the company of the ‘gay and airy’ Dr Priestley? So there were overt reasons for Cook and Priestley to meet, but was there a covert reason for not recording the meeting? We perceive Cook to be a dour, careful, cautious, practical man – just the qualities that helped him and his crew survive years in literally uncharted waters (see Arlidge). But his journals also frequently record deeper, more thoughtful and liberal reflections on, for example, on the impact of his voyages on the peoples he met (Beaglehole, p. 282-3). 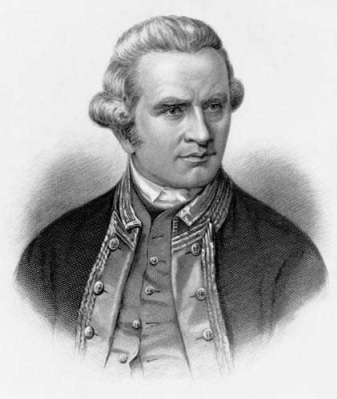 Cook had spent most of the 1760s surveying the seaboard of Canada, and was also familiar with the American colonies; indeed, he had American sailors among the crew of all of his great expeditions. Perhaps his reflective side had made him sympathetic to the grievances of the colonists, and eager to meet an American sympathiser away from the prying eyes of London? Someone who knew America well would certainly be a welcome guest for Dr Priestley – the ardent supporter of the colonists and friend of Benjamin Franklin. Like many in Yorkshire, Priestley was critical of the previous Whig government of Lord Grenville and the Stamp Act. Just the year before, the Leeds Mercury, on 9 January 1770, had reported that 11,000 people from Yorkshire had signed a petition urging the removal of colonial taxes as an impediments to trade. Priestley, complained that not enough people had signed the petition. In a letter dated 18 December 1769, he felt that the town clerk of Leeds had not really pushed hard enough to get support (Schofield, p. 212). 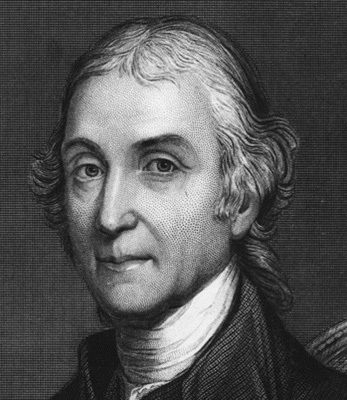 Unlike the wavering town clerk, Priestley, a New Whig politically, was an established supporter of the American colonies. In 1769 had written, under the pseudonym ‘An Englishman’, his first political pamphlet, urging reform under the title The Present State of Liberty in Great Britain and her Colonies. He sent it to London for editing by his American friend and fellow polymath, Dr Benjamin Franklin (Priestley, p. 449). But Leeds in the 1770s was a divided city in its attitudes to the American Revolutionary War (Thornton, p. 109). In 1772, Priestley was a tyro dissident, perhaps wary of arousing suspicion by meeting, in a Tory town, a serving naval officer who would be a key player in Britain’s economic future. History would show he had reason to be cautious. In 1791, Priestley had moved to Birmingham and was vocal supporter of the French Revolution. The Tory Council in Birmingham would, through disinformation, engineer four days of rioting that saw a mob burn Priestley’s home and chapel. He fled first to London, before ultimately emigrating to Northumberland, Pennsylvania, with his family (Priestley, p.89). Our cautious Mr Cook was himself familiar with enough official disinformation not to wish to draw attention to meetings with political dissidents. His first voyage, for example, was government-funded and ostensibly for scientific purposes; but his final orders also morphed into instructions to ‘attaining the knowledge of distant parts … [which] will redound greatly to the honour of this nation … and tend greatly to the advancement of trade’ (Beaglehole, p. 151). Then, as now, the advancement of trade dominated official thinking. But there are always less official thinkers conjuring up ideas. Some Britons took comfort, for instance, from the discovery of the huge planet Uranus – by German born William Herschel, the Astronomer Royal, in 1781 – only to be mocked for their enthusiasm thus: ‘we had lost the terra firma of the thirteen colonies in America, but we ought to be satisfied with having gained, by the generalship of Dr Herschel, a terra incognita of much greater extent in nubibus [in the clouds]’ (quoted in Priestley, p. 62). Other fringe candidates include Aida Powlesland, who has said the UK should mine the asteroid belt after leaving the EU. I don’t know if we will ever mine asteroid belts or enter into a free trade agreement with Uranus but I do know that I’ll always grateful to have a free, accessible public library as a place where – as Penny Carnaby, former National Librarian of New Zealand puts it – ‘feet may rest but the spirits soar’. – Arlidge, Allan: Cook as Commander, Cooks’ Log 28 (2005) p. 7. – Rail, Tony: William Priestley Vindicated; Enlightenment and Dissent, vol 28 (2012) p. 155-6. Very interesting indeed. As Mark Twain said (reputedly) “History never repeats itself, but it does rhyme.